Science and Education plans to expand its open access publishing project to become a publisher of reasonable size. For this purpose, we are in the process of launching more journals. 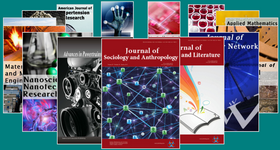 Click here to submit your proposal if you are interested in launching a journal.